Wedding Photography Training - Shooting a wedding is a huge responsibility. You are in charge of capturing a historic day in people’s lives. You need to be a proficient camera user, technically sound, and be creative and able handle the pressure of the day professionally. ShootSmart wedding photography course teaches you the skill-set to shoot at a professional level, to capture the flavour, the mood and the magic of the day. The course is a real hands-on, and we cover every aspect of a typical wedding day, from the pre-wedding shoot and Bride prep right through to the first dance. The group will be limited to a maximum of 10 for a highly personalised training experience using models and set props to re-create real life wedding scenarios. 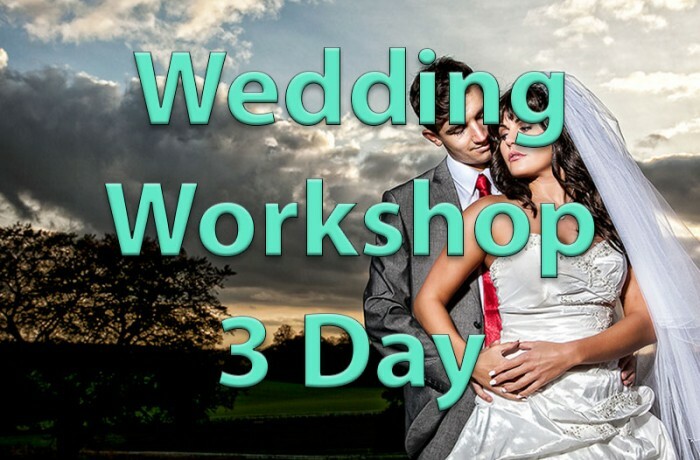 Good morning, do you have any potential dates for the 3 day wedding workshop in 2019.